It’s no secret that banking options for cannabis-related businesses are limited. Banks which accept cannabis clients often have long waiting lists and high fees. Why is this? Many assume it is because cannabis is federally illegal, so banks fear this would increase their liability and exposure to anti-money laundering laws and regulations. This is partly true. One of the primary reasons banks do not wish to serve cannabis businesses is the extensive regulatory requirements that must be observed. 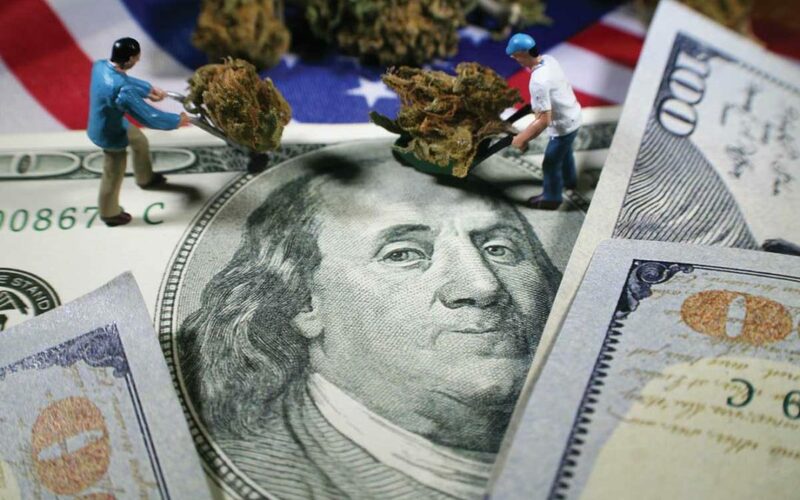 In February 2014, the U.S. Treasury Department’s Financial Crimes Enforcement Network (“FinCEN”) issued guidance to clarify Bank Secrecy Act (“BSA”) expectations for financial institutions wishing to provide services to cannabis-related businesses. FinCEN explained that the decision to open, close or refuse any particular account or relationship is a financial institution’s risk-based decision, and that thorough due diligence is a critical aspect of making this assessment. Specific activities for due diligence were identified in addition to determining whether the cannabis-related business implicates any one of the eight enforcement priorities for the Department of Justice identified in the Cole Memo with respect to the Controlled Substances Act or violates state law. In January 2018, the Cole Memo was rescinded by then AG Jeff Sessions. To meet BSA obligations, financial institutions must file Suspicious Activity Reports (SAR) on activity involving a cannabis-related business using one of three cannabis-specific SARs. Financial institutions are also expected to recognize “red flags” that indicate a cannabis business may possibly be engaged in activity that implicates one of the Cole Memo priorities or violates state law. In addition, banks are required to file Currency Transaction Reports (CTRs) on the receipt or withdrawal by any person of more than $10,000 in cash per day. Many banks and credit unions find the combination of federal cannabis prohibition and the regulatory compliance requirements too resource intensive and costly to outweigh the benefits of servicing cannabis-related businesses. Therefore, their policy is to close accounts of any business or individual discovered to be associated with cannabis. We hear from cannabis related-businesses who have had bank accounts shut down on a regular basis. In some instances, their personal bank accounts are also closed by the financial institution. The disruption caused to their business prompts a search for cannabis-friendly banking options, which have been increasing in recent years but fall short of the demand. As of September 2018, FinCEN reported there were 375 banks and 111 credit unions managing cannabis businesses accounts. Yet, the majority of these institutions maintain a low profile and do not promote their cannabis-friendly policy. This makes it challenging for cannabis businesses to find them, so word of mouth among cannabis and ancillary businesses is a popular method of identifying cannabis-friendly banks.